Chislehurst Caves is an extensive complex of subterranean tunnels of uncertain origin that stretch up to 35km in the suburbs of south London in Chislehurst, Bromley. Despite being called caves, they are entirely man-made and were probably first constructed as a mine to extract the flint deposits in the London chalk layers. It has been suggested that part of the cave system dates from up to 8000 years ago, but the first recorded mention was actually noted in medieval documents of circa 1250AD and in post-medieval church records of 1737AD. 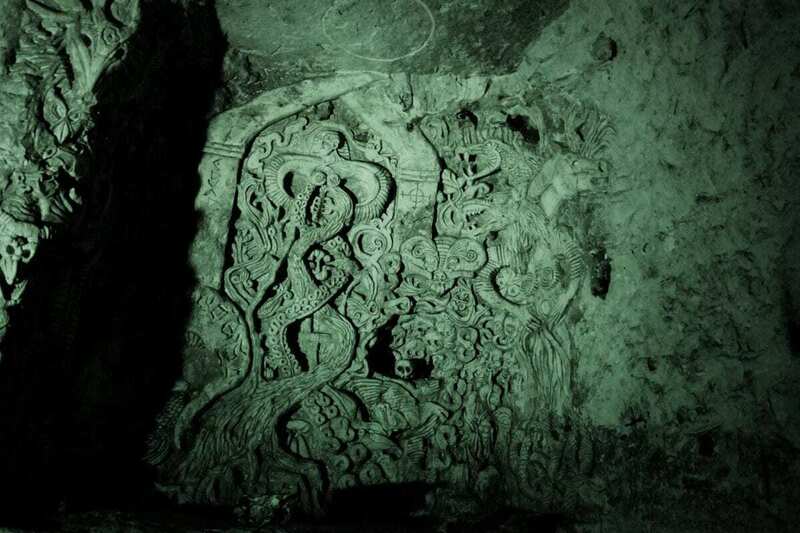 The last known date of active mining in the caves was around the mid 19th century. An Ordnance Survey map of 1862–63 describes the place as a “chalk pit” and marks an “engine house” and two remaining kilns used for the extraction of flint and lime. During the early 20th century, William Nichols, then Vice President of the British Archaeological Association proposed that the caves were first built by the Romans, Saxons or Celts (Iron Age). This, however, is nothing more than speculation as there’s no supporting archaeological evidence to give credibility to the theory. With the outbreak of both World Wars, Chislehurst Caves was pressed into military service and became an overflow ammunitions depot for London’s Royal Arsenal in Woolwich. The cool, damp conditions made it highly suited for the storage of explosive materials and limited the damage radius of any unforeseen accidents. 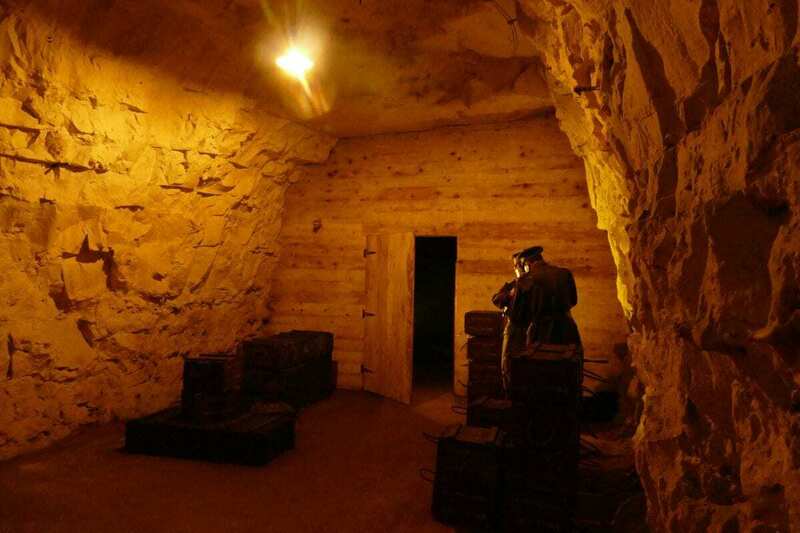 By World War II, the cave was transformed during the German bombing campaign of 1940 and 1941 (The Blitz) into one of London’s largest air raid shelters. 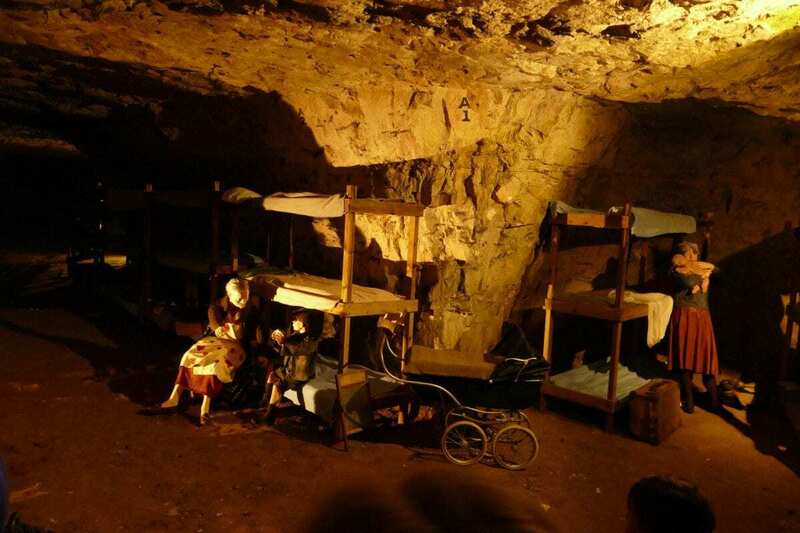 At its peak, the cave was essentially an underground city inhabited by some 15,000 civilians, sleeping in three-tier bunks or small family pitches costing sixpence per week. 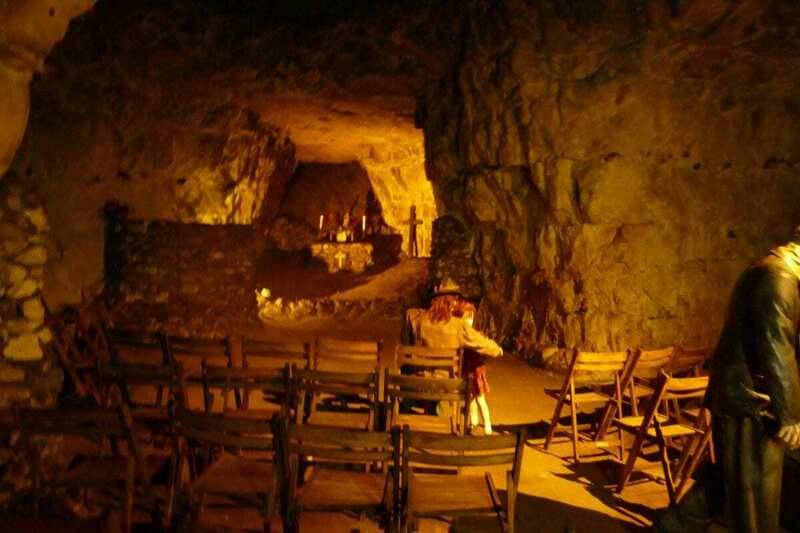 With a population living in close proximity in an enclosed space, the cave was modified to include electric lighting, running water and an air ventilation system. By 1941 there was even a cinema, barber, three canteens, a police station, a local shop, chapel and a hospital with seven wards and an isolation unit. 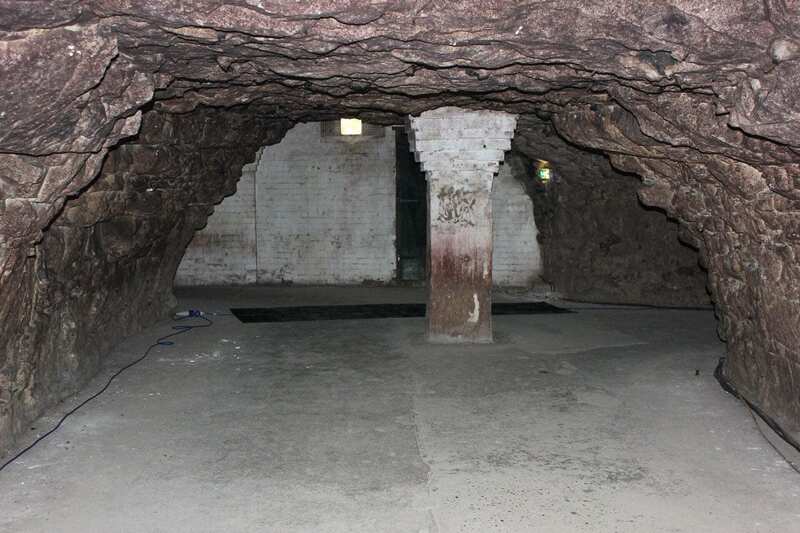 From the 1960s, the caves were used as a music venue for its acoustic resonance through the long tunnels. Famous acts to perform in the caves include David Bowie, Status Quo, Jimi Hendrix, Pink Floyd and even the Rolling Stones.